Monster Repair (MR) is the professional equipment for hockey sticks repairing . It simplifies repairing process and allows you immediately get the excellent result. The system has better abilities in comparison with market competitors. Using our equipment you will be able to repair shafts and blades with high quality and 100% result. With the purchase of MR’s systems you will get access to various discounts and benefits including advertising of your repair shops globally and locally through the Internet. We also provide our clients with sets for various shaft (inserts, a sealant, sleeves, pitch, a hardener, etc.) and stick’s blades (fabrics, cliches). STRICT is the multi-purpose device for hockey sticks repairing. It is intended for restoration of hockey shaft by the filling method. 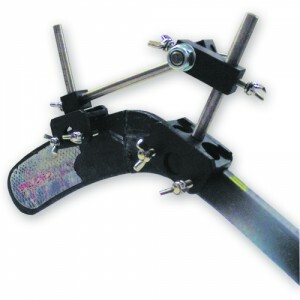 It allows to repair two parts of a broken stick quickly and without any problems. The device does not require a lot of space. Adjustment of the broken parts is provided by two (2) blocks. 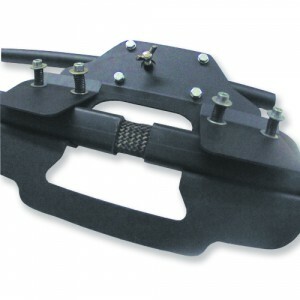 The clip provides pressing on each part of a stick and prevents falling them out of the system. The multi-purpose device for hockey sticks repairing «ATOMY» allows to simplify the repair of a blade. The device provides rigid fixing of parts of the broken blade during the assembling. Hinges allow to set parts of a blade in any position. Each hinge allows to revolve and move construction elements up and down. It isn’t required any additional clamps. One more function of this system is based on the external repairing of stick`s shaft in the higher position than a heel, where internal repair cannot be carried out. Cartridges are used for the internal repair of sticks. Length of an average cartridge is 100 mm. Cartridges are made of a porous core and carbon fiber . Repair process adds up to 40 grams to the actual weight of the stick. The minimum order is 10 items. Time of the repair varies from 8 hours to four (4) days. You are very welcome to ask any questions regarding the specifications of our systems, prices and all delivery issues.